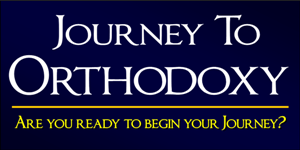 This category is dedicated to providing relevant information and resources on Orthodox Christianity to people of various spiritual backgrounds: Orthodox Christians, Catechumens (those preparing to enter the Orthodox Church), Inquirers, Roman Catholics, Protestants, Former Christians, Buddhists and Hindus. In many cases the same information is offered to several groups. New resources will be added with time. If you have suggestions for additions to this category please contact us at: http://www.wenorthodox.com/contact-us.